Schools about to start back up again and every student is looking for a way to make their dorm room stand out. 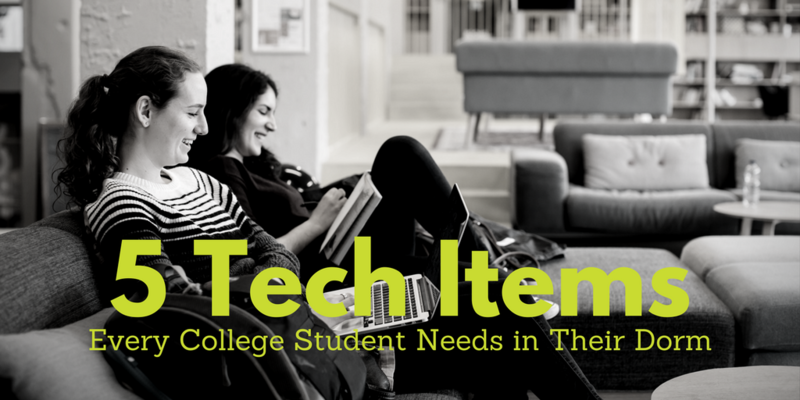 So we’ve complied the top five tools every college student needs to turn their dorm room into a smart room! Perhaps one of the few things even the sleepiest of college students can’t sleep through, a freshly brewed cup of coffee. This connected coffee marker isn’t your average coffee machine. Sure other coffee machines might be “programmable” but the Behmor really takes it to the next level by connecting to your iPhone or Android phone and offering a bevy of customizable features. Not the least of which is setting a brew time so you can literally wake up to a custom cup of coffee every morning. Especially for those sharing a room freshman year with a complete stranger, security can feel fleeting. Typical locks feel bulking and intrusive, plus you have to keep the keys somewhere which is just a security risk in itself. The Noke answers those problems by using a Bluetooth enabled via app to lock and unlock. This is great for anything in their storage spots in their room or even a bike lock. To say that college students sometimes burn the midnight oil is an understatement. Between going to classes, extracurriculars and social outings it’s easy for them to run out battery (literally and figuratively). So to make sure they are always charged up and ready to go, check out the ENERGI backpack by TYLT with a built in battery pack that you can run a cord from to any of the pockets. One thing any college student is going to miss about home is access to their favorite TV channels because we all know the basic cable you get in the dorms is not up to par. So to help fill the gap, check out Sling TV which touts itself as an “a la carte” tv option. No need to pay for all the unnecessary channels, this internet TV option will help any college student acclimate to life away from home without paying the overwhelming cost. We’ll leave that for their tuition bill. To call Livescribe just a pen would be a massive miscalculation in its power. The Livescribe Pen is really a system that allows even the most easily distracted student to catch everything that’s happening in class. The pen syncs with your notes allowing you to click on the paper and hearing exactly what was being said at that point. Regardless of level of academia, every student could benefit from this set.